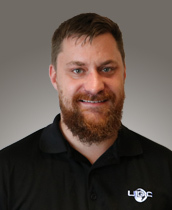 With nearly ten years of experience in the maintenance industry, Jason is an excellent addition to our staff. Jason grew up in Northern Illinois where his family owned several apartment buildings. He began his career in maintenance renovating the family-owned apartment buildings before enlisting in the Army in 2003. After retiring from the Army in 2014, he began working at a nursing home in Perry, Ga, providing maintenance services within the nursing home community. Jason was also responsible for the renovation, repair and remodeling of many homes located on the property and helped bring the homes up to modern building code standards.